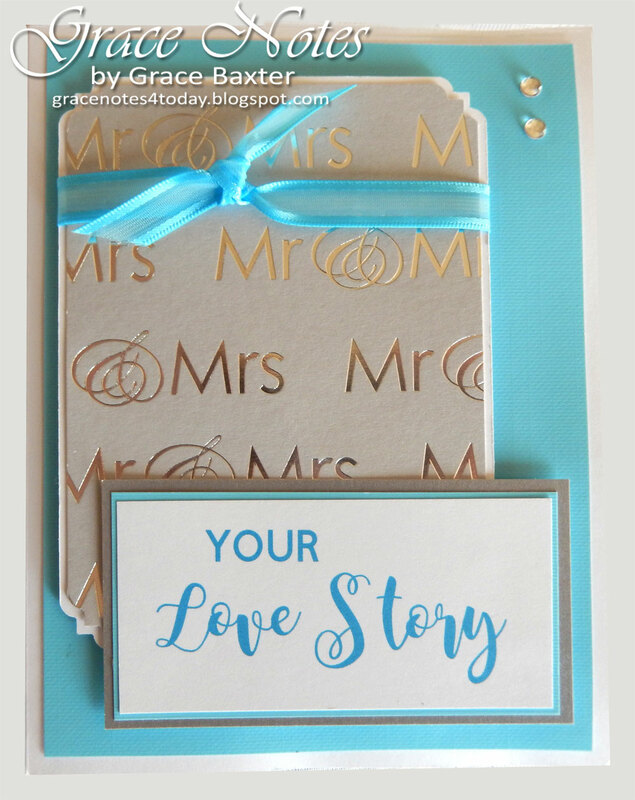 What could be more romantic than a "Love Story" wedding card? And what could be more special that one with huge impact! 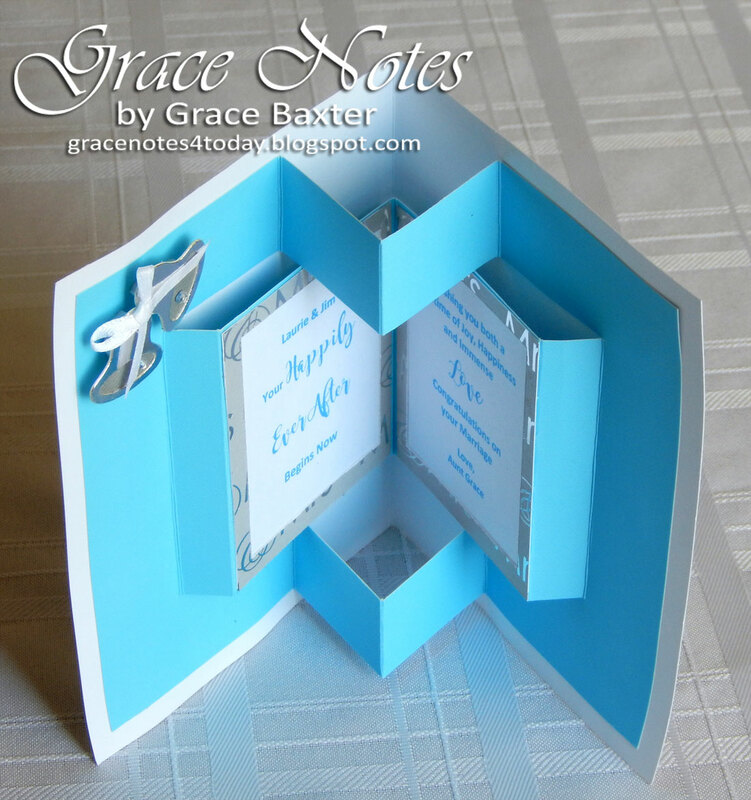 This pop-up card took extra time but is the perfect design for something really special. 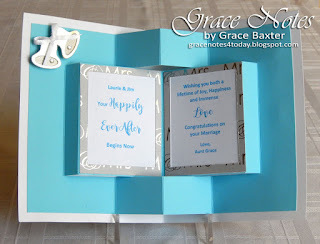 I love the Mr. & Mrs. foil cardstock which sets the theme on the cardfront. The sentiment is another one that I made especially for this occasion. 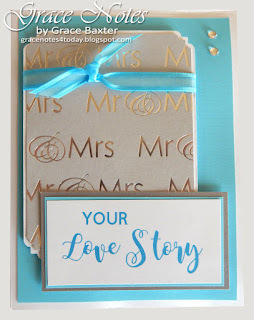 As mentioned on a previous posting, I will be sharing some of my own Sentiment creations in an upcoming post. Stay tuned for that! As soon as the card is opened, the fun kicks into high gear. The frames, cut from the same Mr & Mrs cardstock used on the front took careful measuring. These were prepared as an over frame, rather than just sticking the messages on top of a panel. More work, but a much prettier result. 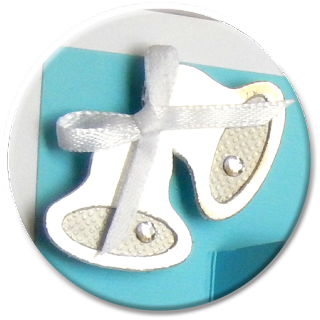 Wedding bells are cut from shiny silver foil CS, accented with crystal dingers and a white satin bow. The Sweethearts cartridge came in handy for this. The bells are cut twice so that the inside of the bell could be textured. The cardstock is actually light gray. Silver wedding bells are an older tradition works well with the modern lines of the card. Click any photo to see it larger. 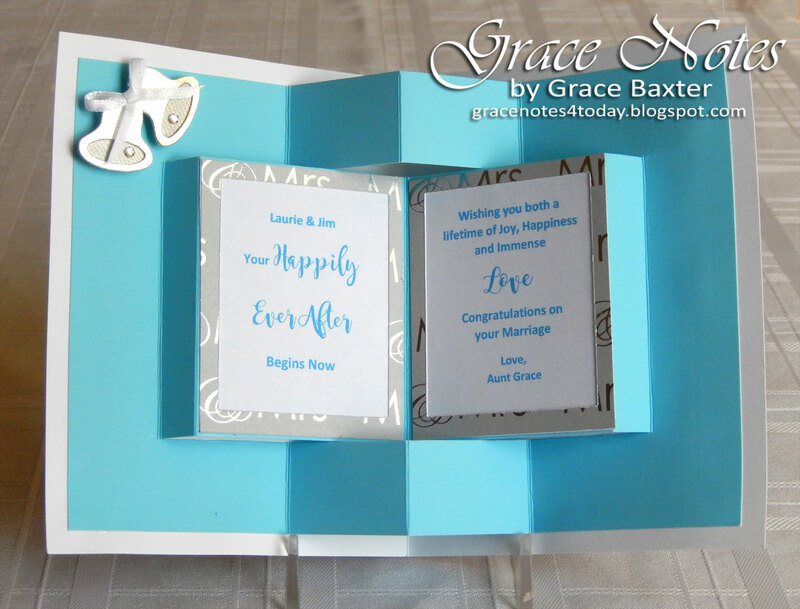 My "Love Story Wedding Book" card was a joy to create and give. I hope it made the bride and groom smile.